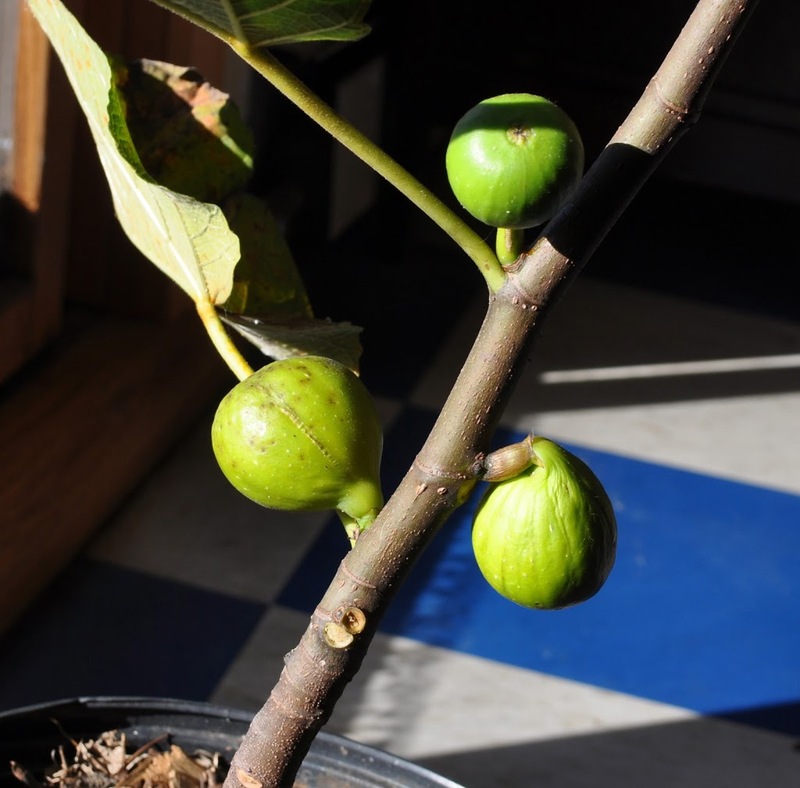 My oiled fig is the variety Kadota, which grows in a pot sitting in a sunny, south-facing window. Still, the amount of light streaming through those panes this time of year is around 500 foot-candles, as compared with a 10,000 foot-candle bath from summer sunlight, which figs do love. Light intensity and duration dropping daily justified a little oiling to speed up ripening. All that’s required is a drop of oil placed on the eye — the ostiole — of the fruit. Because olives and figs share Mediterranean origins, olive oil seemed most appropriate for fig-oiling. The swaying of stems under windy conditions — picture a pine growing on an exposed cliffside — also stimulates ethylene release which, in this case, results in stockier growth. I lightly brush the tops of my tomato seedlings in spring for the same effect. Climacteric fruits do allegedly ripen — or, at least, soften, sweeten, and change color — after being harvested, as long as ripening is sufficiently imminent at harvest time. But is softening, sweetening, and color change all that a ripe fruit has to offer? No. A whole spectrum of flavorful aromatics is also waiting. Although some fruits might ripen to perfection harvested before fully ripe (tomatoes and late apples, for instance), and other fruits must be harvested underripe for ripening off the plant (European pears and avocados, for instance), many fruits, climacteric and non-climacteric, taste best if fully ripened on the plant. This entry was posted in Uncategorized and tagged climacteric fruit, ethylene, eye, fig, oiling. Bookmark the permalink. Trackbacks are closed, but you can post a comment. Such interesting information. So sorry about the flat taste. That is more than disappointing. I plan to try oiling next year while the weather is still warmer and sunlight is more intense, if nothing else to see if it’s the seasonal weather rather than oiling per se that left the flavor flat. I do have a couple of un-oiled figs ripening in the greenhouse and will taste them soon, I hope. First, I have to say that strawberries are not my favorite fruit. I don’t like to crawl for my fruit. Then again, I like them for their earliness. I grow Earligro, an excellent variety that is, of course, early. Strawberries are very regionally adapted so it pays to check with your local Extension office or land grant university for their recommendations. I oil my brown turkey figs to stagger the harvest. Ostiole has to show red or it won t work. I use olive oil and my finger. Figs will ripen in about 5 days and increase dramatically in size during same. I m in RI. 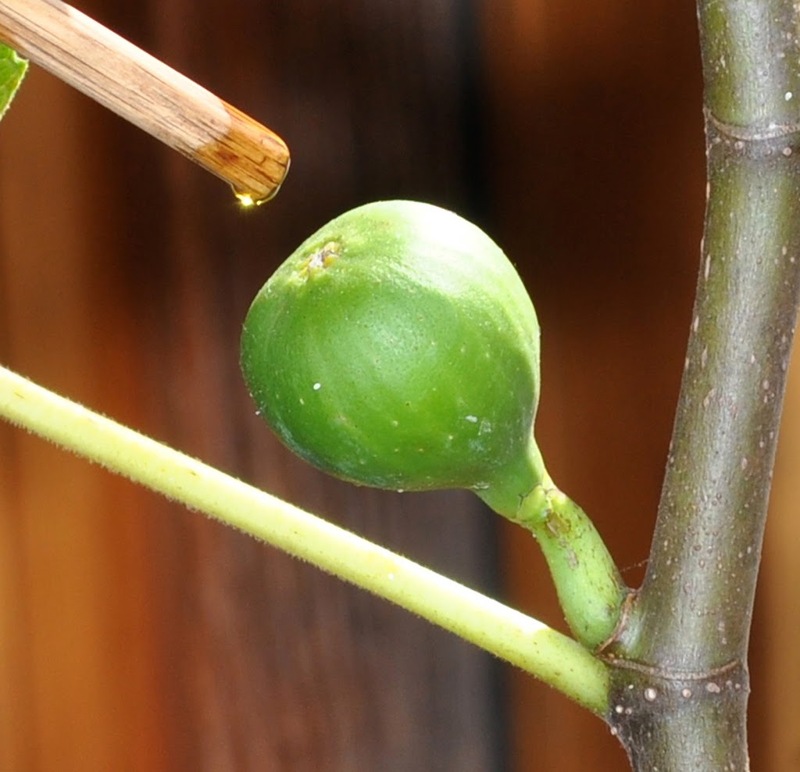 Did you ever try putting just a drop of oil on the “eye” of a fig?